As with the larger Trespa Meteon range the Metallics colourways are highly durable and aesthetically pleasing. 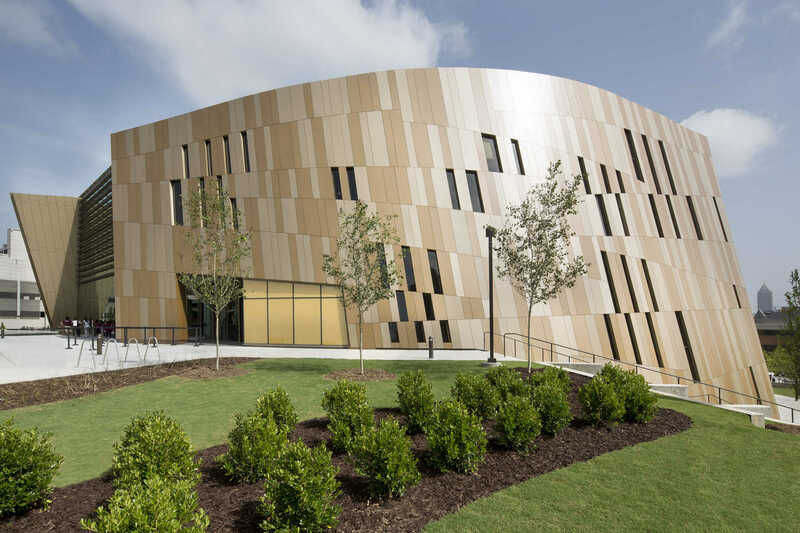 Sun and rain have no significant effect on the panel surface ensuring an exceptional looking facade for years to come. Produced from a blend of up to 70% natural fibres and thermosetting resins, under high pressures and temperatures the panels are manufactured to be highly dense and stable. 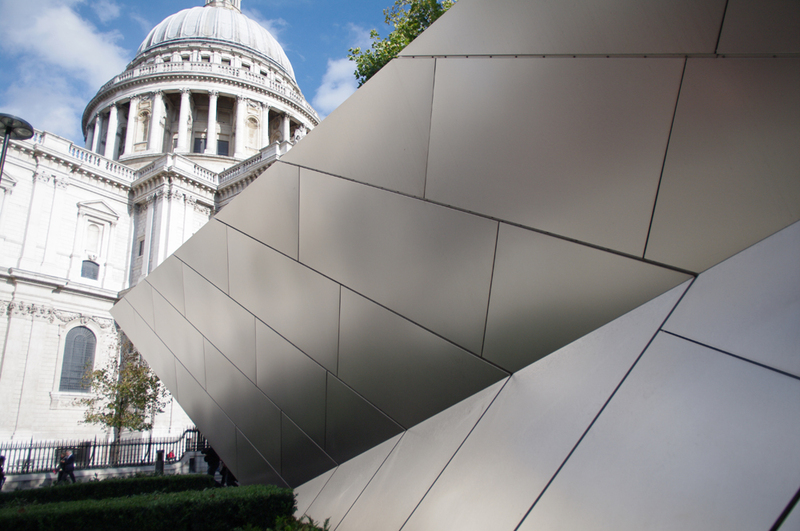 Available in an ever increasing range of metallic colours to add a touch of modern sleek design to your facade. Colours range from Azurite Blue and mustard yellow to deep copper and aluminium grey to suit every design need. 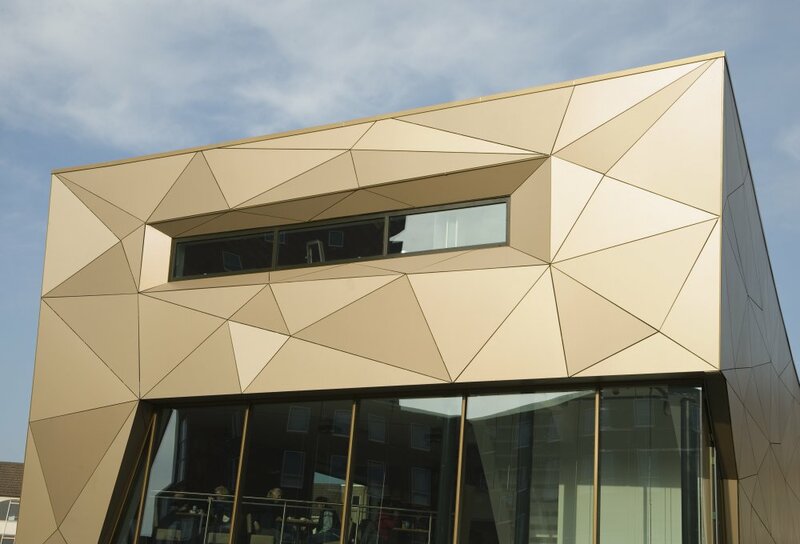 Trespa Meteon Metallics can be used to complete an entire facade or as an impressive highlight as part of a larger scale project. For more information on the Trespa Metallics range please contact your local branch.